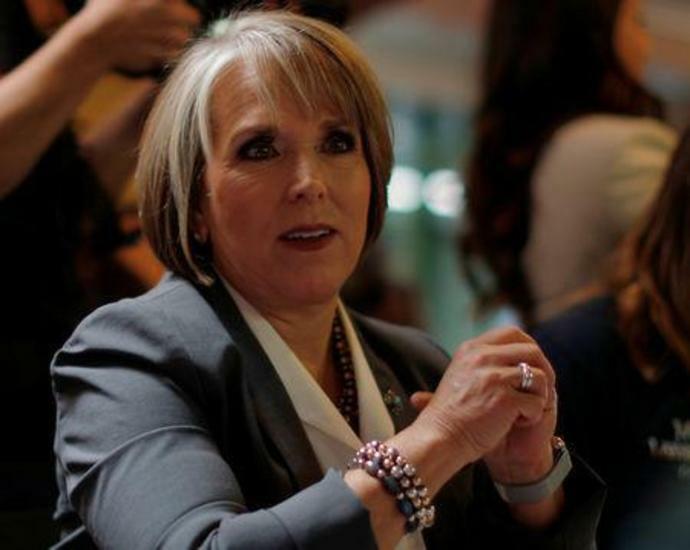 (Reuters) - New Mexico Governor Michelle Lujan Grisham has ordered most of the National Guard troops deployed at the state's border with Mexico to withdraw, rejecting U.S. President Donald Trump's contention there was a border crisis. Most of the 118 National Guard troops deployed in the state will be withdrawn, Lujan Grisham, a Democrat, said in a statement late Tuesday. She called Trump's frequent declarations of an immigration crisis at the border a "charade." A small, though unspecified, number of troops will remain in place to help with the "humanitarian needs" of communities near the border and vulnerable migrants arriving at the border, Lujan Grisham said. "We will support our neighbors where the need for assistance is great, and we will offer a helping hand when we can to those vulnerable people who arrive at our border, but New Mexico will not take part in the president's charade of border fear-mongering by misusing our diligent National Guard troops," her statement said. Trump's promise to build a wall on the border, with construction paid for by Mexico, was a key message of his 2016 campaign. Mexico has refused to fund the project and Congress rejected Trump's demands for $5.7 billion in funding for the project. That triggered a 35-day partial U.S. government shutdown, the longest in the nation's history.